As BORG grows we are looking for new volunteers to join us. Volunteering can be very rewarding and all we ask is that you can commit some time to help with tasks such those described below. 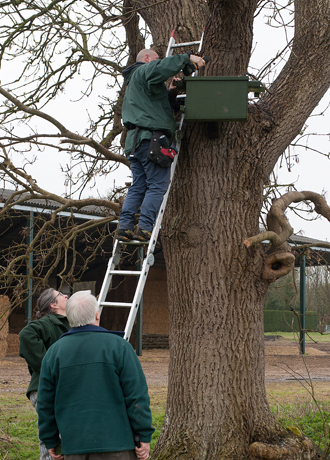 As a field assistant you would be expected to work with our current band of monitors and ringers to erect and maintain nest boxes, and to assist them with monitoring. Volunteers should be reasonably fit (the work often involves carrying ladders across wet, muddy fields), confident and comfortable climbing ladders and working with tools at height and ideally be able to drive. Throughout the year your role would vary, but October to March is the peak period for working in the field erecting new boxes, mending damaged boxes in situ and helping check for signs of early box occupation. 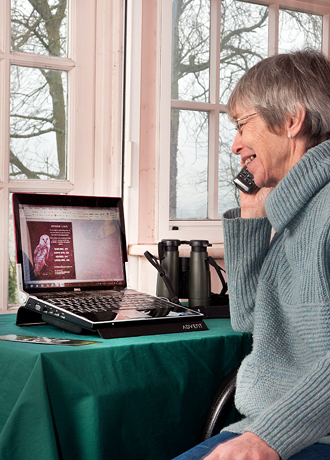 At all times field assistants would be expected to help our monitors and ringers to liaise with land-owners, keeping them informed and involved, and maintaining their support. Monitors would be expected to devote approximately twelve days a year to the work and would need all the skills associated with being a field assistant. April to September is the peak time for monitoring boxes and recording signs of occupation. Initially, you would be shadowing others and working under the supervision of an experienced mentor to gain the necessary skills, knowledge and confidence required to carry out the work. Your goal would be to become responsible for monitoring within a prescribed area. You would also be expected to liaise with land-owners, keeping them informed and involved, and maintaining their support. 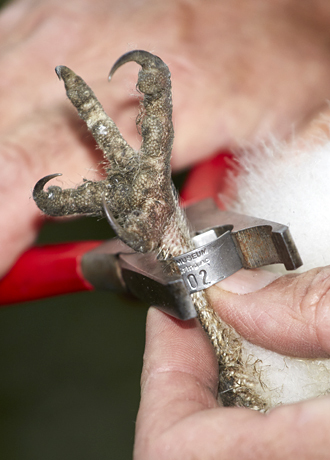 If you already have the skills and training required you may be able to help with ringing, but this is not a necessary requirement for becoming a monitor. All the nest boxes erected throughout Buckinghamshire by BORG are made “in-house” by volunteers, using materials purchased by us or that have been donated by local businesses and individuals. 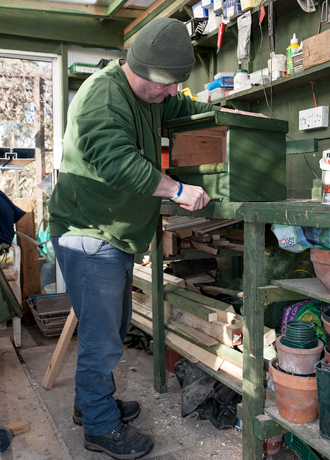 If you are good at DIY, and have an occasional few hours to spare, you can use your skills to make the nest boxes for us and, in some circumstances make items to aid in the repair of existing boxes. You are welcome to use your own facilities or to make use of our workshop, which is currently located in Aylesbury. We will provide detailed specifications and instructions for making all types of boxes – and will of course provide the materials. Are you a good at working with the public? Are you the one who always runs the cake stall at school, or are you that enthusiastic person who can infect others with your passion for a worthwhile cause? If you can say yes to any of these you might like to join our team and help with our ongoing publicity or fundraising. Publicity - we would welcome help from people who can liaise with the local press and news media, businesses, schools and community groups etc. in order to promote BORG. Fundraising - we would welcome help from someone with ideas to help us work out what we can do to raise funds or who is willing to run a fundraising event for us, e.g. a cake sale. As a group we attend various events, e.g. the Bucks County Show, the Thame Show and other, smaller community events, as well as giving talks and presentations for organisations, schools, scout groups etc. 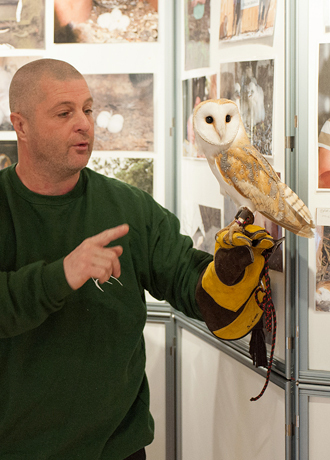 As we expand our involvement in owl & raptor conservation we would like to increase our attendance at such events. To help us achieve this we would welcome help from anyone who is adept at organising and structuring such events and social gatherings, can liaise with local event organisers and of course other BORG volunteers. Do you have the skills, knowledge and time to help us facilitate and present such events and raise funds from them, whilst raising awareness of our work in the wider community? If so we’d love to hear from you. If you are interested in volunteering, even if you don’t quite know what you can do to help, please click HERE to get in touch and we’ll be more than happy to discuss how you can use your skills to help the cause.